Location: Located towards the center of the forehead between the eyes. 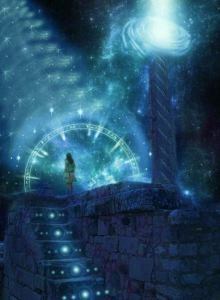 Alignment: When in balance you bring an expansion of awareness, insight and connect with the higher consciousness of ALL THAT IS. 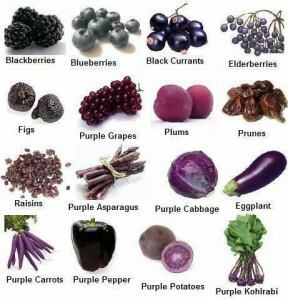 Associated Food: Blueberries, Eggplants, Purple Cabbage, Grapes. The ability to receive insight via the third eye chakra goes way beyond what the human mind could perceive or even comprehend. Here is where you can travel in a realm where there is no time; there is no past, present or future. For when you are attuned and truly connected spiritually, then all aspects are at one. 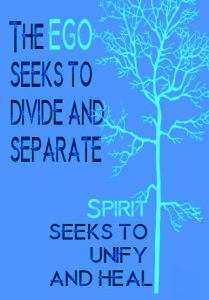 That is past, present and future are not separate as they are known in the physical sense but co-exist as one. It is only for the human basic thought process that needs these aspects to be separated. 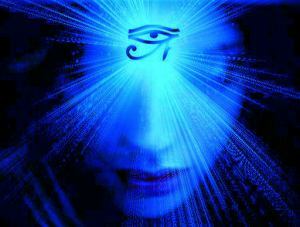 As the human mind cannot conceive the totality of what is until it has reached the stage of awareness within the Third Eye Chakra. Everyone has the ability to connect and use this intuitive perception that is and has always been present within them. For being intuitive, is really a simple process of paying attention to the subtle energy flow present within and around all of us. No one is gifted, for everyone has the same abilities as each other. Developing your Sixth or Third Eye Chakra will help you realize this. Although some, such as certain psychics and others mediums that show a strong intuitive presence, having this innate ability to connect easier than others it does not mean they are gifted. It is just a matter of connecting along with how well and also where you are in your personal pathway along your journey in life. 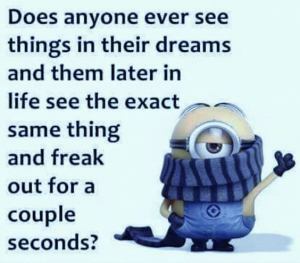 Many have had a dream and later experienced the same event later in the waking state. Some may have that odd intuitive feeling (gut feeling) that something is or about to happen. Perhaps that feeling of where you have already seen something happen before and now it just happened again in the same or closely similar manner. This is your third eye chakra in action that you have managed to tap in and that is why you received what is known as Déjà vu. This is part of that intuitive ability already within you, however, many through the use of human logic seem to shrug it off as luck, coincidence or for some just a fluke. There are no flukes, coincidences etc. For many, it is a way for your deeper soul trying to connect with you to pass some important piece of life you are about to embark upon. For many, it is a way for your deeper soul self, trying to connect with you to pass some important piece of life information you are about or ready to embark upon. 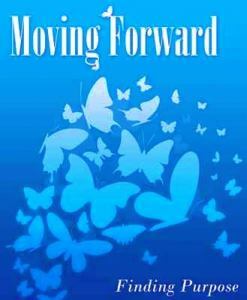 Question is, are you ready to Move forward and received what is important for your advancement in life? If you have worked on balancing all the other previous chakras mentioned earlier, you will have noticed that your thought patterns have changed and a deeper process in your thinking and the way you see life has also changed. Many will find that their Intuitive abilities may start to either develop or strengthen, perhaps even adding more to your perception. Known that should you choose to accept this, the Universe is there and ready to help you develop what is already within you but that is up to you. Some may be afraid of having these abilities and do not want these abilities due to being scared or from what they have been told over the years. But as they understand more and more on the spiritual, they feel more at ease, this is when the same presence can appear again. This time, you are ready and when you accept this and now you can develop further the choices given to you. This is where the Third Eye Chakra can be of most benefit as you are now ready to embark towards the cutting edge of the spiritual world. One where you are heading towards the most powerful form of energy and understanding that is. This energy is called Unconditional Love. It is the energy that the universe wants to share with you. It is the Divine love or divinity of the creator that is available to all. The only parts you need to do are acknowledged and accept this energy and the best way is to find that balance is the third eye chakra. 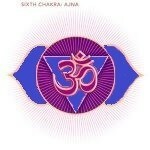 To have this balanced you will also have found the balance and alignment within the first five chakras. By gaining balance here you will find there is a greater sense of self-awareness of a higher nature along with an acceptance of the spiritual self of which you really are. When this occurs you may find that you have immersed yourself deeply within a world of fantasy and for some, this can cause hallucinations and other issue affecting the mind. Most of this is the result of not maintaining that grounding way back in the first chakra. This is why regular practice and ensuring that you always connect and align with all the previous chakras is of great importance. Some have been known as been called as being “Off with the Pixies” (Not is a Bad Way). Many have simply felt that they are more comfortable in this higher world than being in the physical world. Mostly because that do not find the sadness and despair as they do in the physical. This is understandable given the current state this world (called Earth) is in. However, the lesson of spirit is to find balance and understanding at all levels which also includes the physical world. Therefore grounding is vital; otherwise, you may become lost. This make-believe is not the actual world you intended originally to go towards. As somewhere along the line when you lost your grounding, you made a slight turn that took you off Couse but felt it was the same world you set your mind to possibly as a result of creating many walls and barriers. Along the way you became comfortable and as a result, this became the normal place you sought when in need of solitude and comfort. This became your safe haven but it was not the place of your intentions when you first started. Things happen along the way and this is where you veered off course without realizing it. There can be a fine line between living in a fantasy world and living within a wonderful spiritual world, it just depends on how grounded you are or if you are grounded at all. Some may feel they are right and unfortunately when help is given it may be hard to accept. Yet the light is always within you and when you ask you will receive the help and support of the light via other means. When there is an Under-balanced many may find themselves thinking that are stuck and going nowhere despite their efforts. Many try too hard and as a result, allow the Ego mind to nudge those negative thoughts towards you and try to let you know that you are not good enough to reach your higher potential. To more you get these thoughts in your mind the more the feeling of being stuck the more frustration you received which can follow with anger, resentment and the many other aspects that Ego loves to dish out. Remember Ego is very quick to sneak in and takes whatever opportunities to keep you away from where you truly are meant to be part of. Ways to keep Ego away and become who you really are. Here at this point in time, you may find many different forms of meditation that can be of benefit to you. No form of meditation is better than the other as each soul has their own journey to take in life therefore what may work great for some may not be what is needed for another. Some methods can be used to balance chakras while others can be used to relax and/or go deeper within depending on what is your intention and purpose of the meditation. When dealing with the Third Eye or Sixth Chakra in a meditation the color indigo is best to use as your focus on this area. During this stage, you will also be aligning this Indigo color and merging them with all other chakras previously disused in the seven-part series. Some may use candles either in the same color, (Plain white is fine) as it is your intention of the color you are using that is of importance, not the item used. If using candles make sure it is placed safe and no present any dangers, always best to keep windows and doors closed to avoid any droughts or to avoid the candle from being knocked down when you are meditation with your eyes closed. Incense is another method that many have used during meditation along with playing some relaxing music. Wearing crystals can be helpful again if you wish in meditation but wearing color relating to the third eye chakra can help as you go about your day. This can be in a working environment (provided it is safe to do so) or even at home. when you can lay down and place an associated crystal to the sixth chakra and place it in the position between the eyebrows just above the bridge of the nose. You can lay down and place an associated crystal such as an amethyst to the sixth chakra and place it in the position between the eyebrows just above the bridge of the nose. From here you can meditate, or focus on the energy of the crystals to help strengthen your third eye and even visualizing a journey you are about to embark upon within the spiritual dimensions. If you are doing this ensure you have gone through the grounding meditation techniques. Much like all other chakras wearing clothes relating to a particular chakra (in this case Indigo) can help again to energize you along the day. Wearing a scarf/Tie or other pieces of clothing incorporating Indigo will help to energize you along the way. It is always best with clothing to set your intention as you are putting your apparel on when getting ready be it for work, just for a day out, maybe even for an evening out sending out the purest of intentions of guidance and understanding that will help your day/evening marvelous. As shown toward the beginning eating certain foods associated with the color Indigo are beneficial as well. Blueberries, Eggplants, Purple Cabbage, Grapes are just some of the great foods that can be used in relation to the third eye chakra. Here are some more you can add to the list of foods involving the Sixth or Third Eye Chakra. Remember junk foods and artificial foods are not beneficial to the sixth chakra. Use only natural foods and organic is best if and where available. Although there may not be too many foods in the Indigo color it is the intention that you set when eating such foods. You can always combine some foods from the throat and later crown chakra as they can help to adjust the energies around the third eye chakra. Have you performed mediation using the sixth chakra before? What about developing your intuitive senses? Place a comment below, I would love to hear about your experiences, developments, thoughts, and ideas relating to the Third eye chakra. Should you have any comments on your experiences with any of the other chakras mentioned in this series why not place a comment on that particular chakra. The more we all learn the more we all gain and are able to move forward along our journey in life. 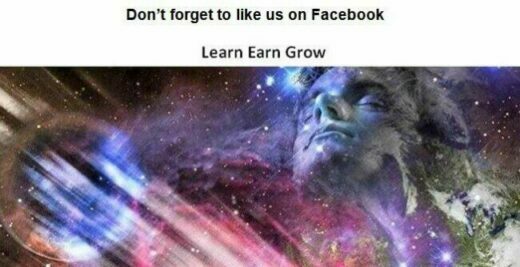 I Know many would love to learn and hear from what you have gained. Many may be on a similar path as you but may feel they are the only ones and at times this can create some doubt of “Am I the only one feeling or experiencing this”? Next Part 7: What is the Crown Chakra?